Do you want to save money on household chemicals or treat a cough without rushing to the pharmacy? Are you looking for all natural skin and hair care products that don't break the bank or destroy the planet? Or do you just want to impress your friends with a tasty, unusual dinner? Well, herbs let you do all of these things quickly, easily and with little cost. People have grown herbs since ancient times to use as food, medicine, disinfectant, cleaner, beauty aid and home decoration. There was even a time in England when a 'disaster' was defined as the pigs have got into the herb garden! But despite having been used for hundreds of years, herbs still have a few tricks up their sleeves. They ideally suit our modern, busy lifestyle as they are undemanding and easy to manage. You don't need a large garden to grow them. Neither do you need to be blessed with green fingers. Most herbs are as happy in containers as they are outdoors and, provided you choose a sunny spot and don't water too much, will grow almost anywhere. Do you know that dried lavender flowers can replace tumble dryer sheets? That basil goes particularly well with tomatoes? That rosemary makes a fragrant, efficient scrub for your chopping boards? Or that thyme mixed with honey soothes a tickly cough? If you did not, then this book is for you. 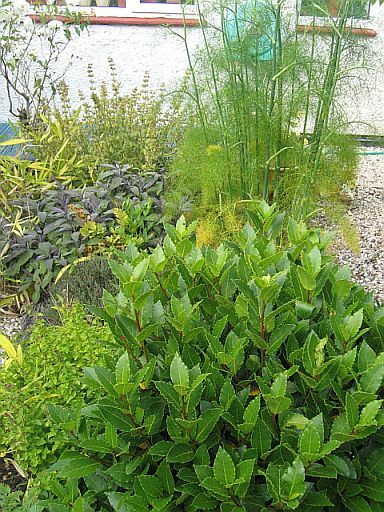 You'll be surprised in how many ways you can use the 'green stuff' that looks after itself in your backyard. And if you already grow herbs? Then the sections on growing and harvesting will be familiar to you. 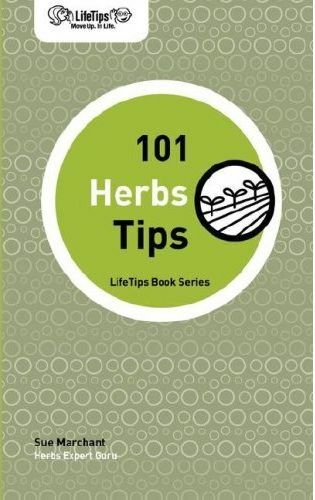 But there's a lot more in this book of herbs tips than ideas on growing and harvesting herbs. In the Cooking with Herbs section you can pick up tips for herbal tonics and vinegars or learn how cook a dinner that actually helps you to go to sleep. Try the Herbs Tips for Beauty section for some surprising short cuts to hair and skin treatments, such as a herbal facial scrub or strong shiny hair. Or check out the Herbs Tips for the Home section, where you can find tips for saving money by making your own linen scent, bath scrub and absolutely the best ever oven cleaner! Alternatively, you could find out how to quickly and easily treat a hangover, the benefits of a herbal pillow or how to mix a fragrant warming Christmas tea. Herbs have been useful to us for thousands of years. And still, they show no sign of disappointing us. Herbs tips for cooking, beauty, health or household are still passed from generation to generation. 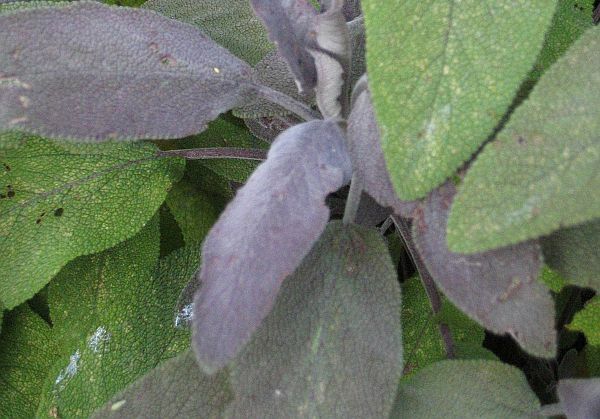 Some of these tips you'll find in 101 Herbs Tips. is available from all good book sellers.